Banking on the skills of our qualified team of professionals, we are involved in providing Pump Plastic Tube. Pump tubes offer products a competitive edge in the market and are used across the globe for packaging in personal care, food, pharma and industrial applications. The oral care industry by itself contributes to almost 70% of the total production of laminated tubes, while an increasing number of them are being used in the cosmetics sector. At Essel, we use cutting-edge technologies to ensure stronger fusion between the shoulder and body. Our world class LTP printing technology ensures superior resistance to print bleed, allowing up to 6 colours plus a varnish overcoat with a choice of full or spot varnish. Our ultra-modern R D cell is equipped with the most sophisticated equipment for testing and new product development. The state-of-the-art, in-house facilities for R D and graphic design are made available for development testing requirements. 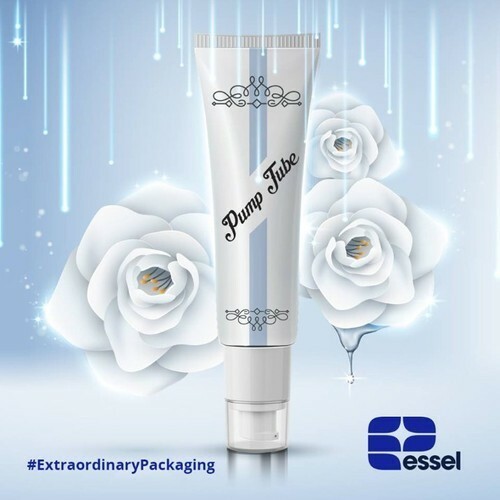 Essel Propack Limited is a global specialty packaging company. We deliver extraordinary packaging solutions that cater to the FMCG and Pharma space. With a 33% share of the worldwide oral care market and many successful forays into wider verticals such as Beauty & Cosmetics, Pharma & Health, Food, Home and Oral we are the world’s largest producer of laminated plastic tubes. Essel is part of the USD 2.4 billion Essel Group and handles a turnover of over USD 350 million. Employing over 2,600 people representing 25 different nationalities, we function from 25 state-of-the-art facilities in 11 countries. These facilities offer customized, end-to-end solutions by pioneering new innovations in material, technology and process. We sell more than six billion tubes a year and are consistently expanding our reach.